Of course it WONT fit the shifter knob and I NEVER said it would. I said a search of the sellers items might result in finding something for the shifter since the item I posted was for the control knob. I personally dont care about specifics but the visual details between your overpriced hood emblem and a one for the knob are identical to me. Both made of some type of metal with double sided tape. I guess a 4x price increase is worth it for something that is maybe 40% larger? Not sure what item location has to do with anything. $$ Payment sent, thank you! Last edited by EDDIE12; 04-19-2017 at 03:34 PM. If you are talking about the new 2017 Mercedes Benz bonnet emblem then I bought one off those emblems myself and have literally just replaced it with this one. I bought one off the black emblems myself and have literally just replaced it with this one. They offered too add some colour too the emblems but I'd have too commit and take 250 emblems which is a bit too high a price for me. 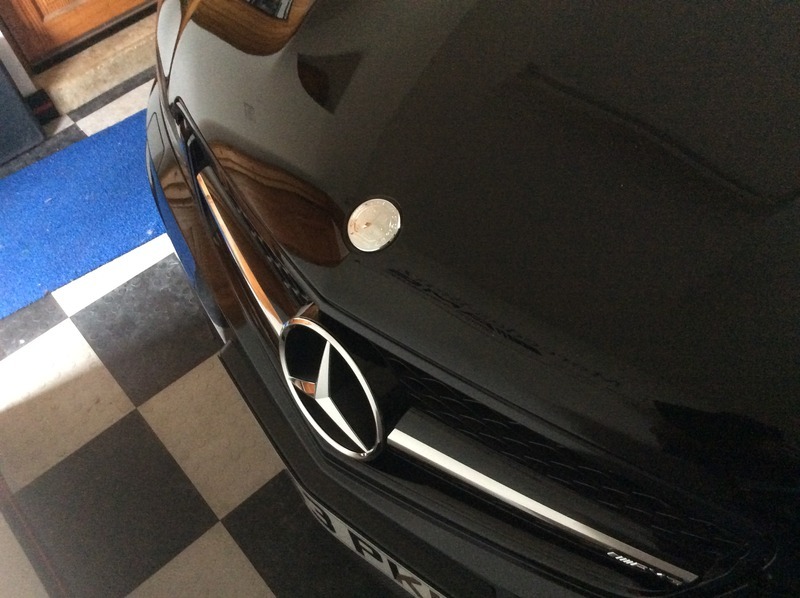 The badge in that picture is all wrong in my eye's, I prefer the new AMG with the slanted A plus any genuine AFFALTERBACH badge/emblem I've seen only has half the apple tree. Last edited by EDDIE12; 04-18-2017 at 06:42 PM. I am still on the fence though. is it possible for you to post a picture of the frontal view and not a closeup that you have posted? I will take a few pics tomorrow off it fitted on my C63 if that's any use buddy? @Bentz69, Same but with how detailed these look and the price being almost the same as the official ones...why not get a couple and test them out. If it doesn't work out, use them as a keychain or add to your AMG memorabilia collection lol. Hi buddy, this is the best I can do at the minute (sorry about the s**t iPad picture). Just spent the last 2 days machine polishing my car and it hasn't stopped raining all day. I used the old version bonnet badge that originally came on my C63 for the base and it's perfect. NOOOOOO! Paypal won't let me log in from the ship! I am trying to send the money but I cant! They want to call my cell phone to verify my identity, but I don't have service in the middle of the ocean. Can someone get one for me and then when I get off this prison in a month I will send monies wherever and work it all out? call your friend. it happened to me last week when outside usa. Just call a friend and have him log in to your account and send the money. Can you PM Eddie your address so he can ship directly? Last edited by BLKROKT; 04-19-2017 at 02:57 PM. Your a gentleman BLKROKT, no matter what the others say . Just waiting on a few more members too make payment and we're good too go. Last edited by EDDIE12; 04-19-2017 at 04:38 PM. Nice one. Helping a fellow members out. Anytime bro. Thank you for your service.